As gastric surgeries are gaining more recognition, we are constantly learning about newer types of surgeries done in the past that may need revision or changes done in order to help patients achieve their desired goals. Those who had their surgery performed in the past and experienced significant weight increase, major problems or complications may be in need of requiring another weight loss surgery abroad. Revision weight loss surgery is more complicated and poses more danger than the original surgery. Therefore, due to this, necessary knowledge regarding nutrition should be gained before the revision surgery and required tests performed. Your surgeon must have exact details about your health state to minimize the risks and postoperative complications. After finishing the workup which includes imaging, upper endoscopies, appointments with the dietician, swallowing studies, the decision should be made as a collective group. Candidate for a Revision Bariatric Surgery – when the revision surgery is necessary? 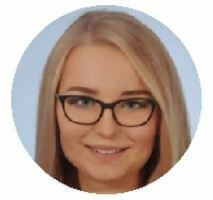 Revision gastric surgery in Poland is a procedure which is mainly performed on patients who have already a gastric surgery and suffer either from complications or have not lost weight as planned. These procedures are mainly performed laparoscopically, although open surgeries may be necessary if prior bariatric surgery left extensive scarring. With the increasing number of bariatric surgeries performed annually, the number of patients who experienced unsatisfactory results. Moreover, there are a few weight loss options and some of them may limit further options for revision weight loss surgery. If you see that your weight loss is insufficient, contact your surgeon immediately. Gastric sleeve is mainly responsible for making a patient feel full sooner while eating through the reduction of hunger-causing hormones secreted by a stomach. These errors mentioned above may lessen or impede the effects of a bariatric surgery. The amount of weight regain varies from patient to patient, therefore one may put on weight slightly or significantly. Revision surgery gastric sleeve in Poland may be necessary when revision gastric surgery side effects like acid reflux and hiatal hernia occur. Generally, about 2% of revisional surgeries are mainly caused by reflux symptoms that have not been treated by dietary changes or the application of medication. 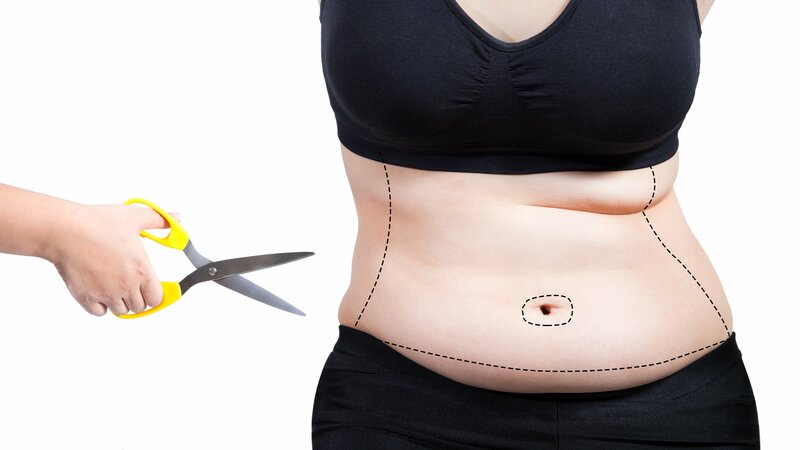 Cheap Revision surgery gastric sleeve abroad is a type of bariatric surgery which may be performed to lose more weight in case gastric sleeve surgery did not work. There are three types: restrictive, malabsorptive or both. These surgeries carry complications, therefore, the throughout evaluation is vital to be done to make sure that you are healthy for the surgery. Some of them are done laparoscopically and others by open surgery. Another bariatric surgery which may be performed in case gastric sleeve fails is laparoscopic Roux-en-Y gastric bypass where there is a malabsorptive additional component to the restrictive mechanism. An upper pouch (50 ml) is made from the dilated stomach with the help of staples and it mainly works as the limiting component. The anticipated weight loss is the same as primary gastric bypass surgery abroad. Although, the side effects like dumping syndrome, dehydration, gallstone formation are expected and should be treated immediately. Duodenal switch (biliopancreatic diversion with duodenal switch) is a sophisticated and cost-effective bariatric surgery which may be performed as a primary procedure or as an alternative for a failed gastric sleeve. The components are both restrictive and malabsorptive, yet the restrictive element is a sleeve gastrectomy. Being a revise bariatric surgery, the stomach is resected ( a kind of re-sleeve) which is followed by intestinal refashioning. Here, the bile and pancreatic juice meet with the food at the very end of the small intestine. As the major part of the absorptive surface of the small intestine could be bypassed, barely a small amount of the nutrients may be absorbed. Also, the gallbladder is removed during the surgery which aids to avoid gallstone formation. In summary, affordable revision surgery gastric sleeve starts to be indispensable after gastric sleeve surgery after when a patient failed to lose weight or put on weight again. The most common options are re-sleeve, gastric bypass or duodenal switch. These types of surgeries also carry some complications, therefore, throughout examinations should be done prior to the surgery. The mini gastric bypass surgery is relatively a new procedure and supposedly the most suitable conversion for Gastric Sleeve patients as it is the least demanding to perform on and has high weight loss rate. In order for the StomaphyX to be performed, a surgeon uses an endoscope which is inserted into your mouth, down into the stomach pouch. Due to the fact that it is performed through the mouth, incisions are not necessary. A surgeon suctions sections of the stomach tissue into a tiny opening in the StomaphyX device. This makes tissue folds that may be fixed together with the use of special H-shaped fasteners. Through the creation of a series of small folds, a surgeon shapes a small stomach pouch which resembles the one fashioned during the original gastric bypass procedure. The required number of folds is dependent on the stomach’s size. StomaphyX procedure is performed under general anaesthesia and it lasts about 30 minutes but the duration also depends on the size of the stomach pouch and the scope of the revision surgery. The main advantage of StomaphyX surgery is that your stomach is slower to empty and the feeling of fullness lasts longer. The transoral ROSE technique is a relatively new technique similar to StomaphyX one where a surgeon put an operating system to an endoscope with four channels into the oesophagus down to the stomach. The transoral ROSE procedure is a weight loss surgery where there are no incisions made. A surgeon put instruments through the channels of the operating systems and stitches the link between the stomach pouch and the small intestine ( the stoma). During the procedure, a surgeon uses stitches with tissue anchors to make a few folds in the place of stoma just to diminish its diameter. After that, sutures are placed with anchors in the stomach pouch. As a result, you feel full for a longer period of time which means you will lose weight quicker. In comparison to StomaphyX, the ROSE procedure puts sutures in a more precise way, may reduce the stoma, while StomaphyX is able only to diminish the volume of the stomach pouch. Initial results have indicated that the ROSE sutures persist longer than those in the StomaphyX procedure. It is the surgeon who decides if injecting a sclerosant (sodium morrhuate) into the stoma is the most appropriate option to resolve the issues with stoma dilation. The injections, which are usually done during two or three procedures, leave scarring which reduces the stoma’s size. According to one study, it is shown that almost 64% of patients lost about 75% of their weight regain after injections. The only side effect that occurred was symptoms of stomal stenosis. In general, patients lost 10 pounds in six months but also there were cases where some patients lost 26 pounds. Also, those who experienced higher weight regain after the bariatric surgery responded well to sclerotherapy. Those with cardiac risk factors should not consider this procedure due to possible risk of blood pressure elevation. The first study was carried out on 11 patients who underwent gastric bypass surgery about 5,5 years earlier. There was a radical drop in their mean body mass index from 43.4 to 37.1. The second study examined 22 patients who experienced weight loss of 47% after five years. The thirst study was a compilation of seven studies which examined 94 patients who lost weight between 55.9% to 94.2% of excess weight between 12 to 42 months after the band placement. On average, one in five patients developed long-term complications which had to be followed with another surgery. This type of surgery converts transforms Roux-en-Y gastric bypass into a distal Roux-en-Y gastric bypass. It is mainly taken into consideration when a patient suffers from a very low metabolic rate and experiences poor weight loss results even though exercise lot. Although this conversion would be a good option for weight loss, it may lead up to increased revision gastric surgery risks like a 15% leak rate after the revision surgery. Due to this, this type of procedure is not taken into account first for weight loss surgery and many surgeons believe that it is improper even for the failed gastric patients. The removal of the old band is replaced with a new one. According to some research, it occurs that results are corresponding to lap band surgery as a primary procedure and secondary (rebanding) one. When the primary gastric ban turned out to be a failure, the great majority of surgeons would not advise another gastric band. After a revision to gastric sleeve, the excess weight loss may be up to 60% in comparison to the pre-band removal weight. Complications following the procedure were said to be under 16% and there were no reported deaths. Almost one-third of patients who had revisional bariatric surgery performed at a single centre, experienced complications within three months. Just over one quarter experienced complications 90 days after the revision. Nevertheless, it is stated that although revisional bariatric surgery is connected with the higher risk of preoperative complications in comparison to primary procedures, it is evident to be safe and effective if done in experienced centres. Due to the widespread use of bariatric surgeries, revisions after complications or fail weight loss are more and more common. It is reported that revision bariatric surgeries range from 5% to 56% of all procedures. According to some researches, a great majority of those who had a revision surgery ( 69.6%) had experienced fail weight loss after the initial procedure. 26.8% of the patients suffered protein malnutrition. Those who had unsatisfactory weight loss, the vast majority ( 90%) of initial procedures were either vertical banded gastroplasty (stomach stapling) or gastric banding. Moreover, all of the patients with protein malnutrition had biliopancreatic diversion with Roux-en-Y gastric bypass. All of the procedures were open ones. The most frequently performed revisions were conversion to a variant of biliopancreatic diversion with Roux-en-Y reconstruction (62.5%) and elongation of the common limb. Nevertheless, almost 40% experienced complications within 90 days and among them were an acute renal failure, anastomotic leaks, pneumonia, incisional dehiscence, bile leak or small-bowel obstruction. Another group ( 23.2%) experienced complications 90 days after the surgery which were stenosis of the gastrojejunal anastomosis, hypoalbuminemia, and incisional herniation. The largest group who had unsatisfactory weight loss experienced a decrease in the body mass index from a mean of 55.4kg/m2 to 35 kg/m2 after the revision. Those who underwent affordable revision surgery gastric bypass due to protein malnutrition, weight did not change dramatically after the revision surgery yet there was a total resolution of hypoalbuminemia without any complications. If you consider cheap revision surgery abroad, you should think about having weight loss surgery in Poland. Weight loss surgery in Poland cost half of the price in UK or Germany. Polish surgeons are highly experienced and our company cooperates with the best clinics of the biggest Polish cities. Experienced surgeons who deal with gastric procedures are known for high rate success, yet there may be a slight chance that you may not be fully satisfied with the results. Therefore, you should consider having revision gastric surgeries performed in Poland. As bariatric surgeries are gaining more popularity, more of the patients decide to have a revision due to unsuccessful weight loss. If you are not sure if you are a good candidate for this type of surgery, contact and learn more about the procedure. Among revision, gastric surgeries are re-sleeve, the laparoscopic Roux-en-Y gastric bypass, duodenal switch, mini gastric bypass and many more. Together with the significant loss after bariatric surgeries, a patient may also experience some complications, yet in general revision bariatric surgeries are safer and effective than primary ones. Also, recovery time is very short as some patients may come back to their daily routines even a day after the surgery.